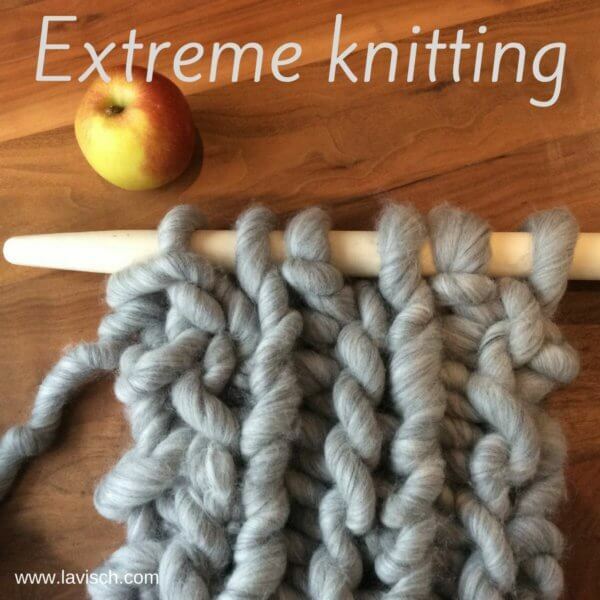 You have perhaps already read in this blog post, that extreme knitting really has my attention lately. 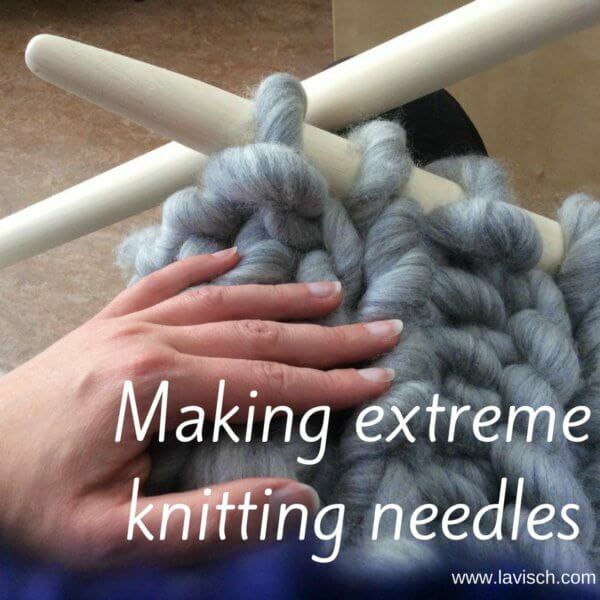 In that blog post I have been shown you how I made extreme knitting needles from broom sticks. 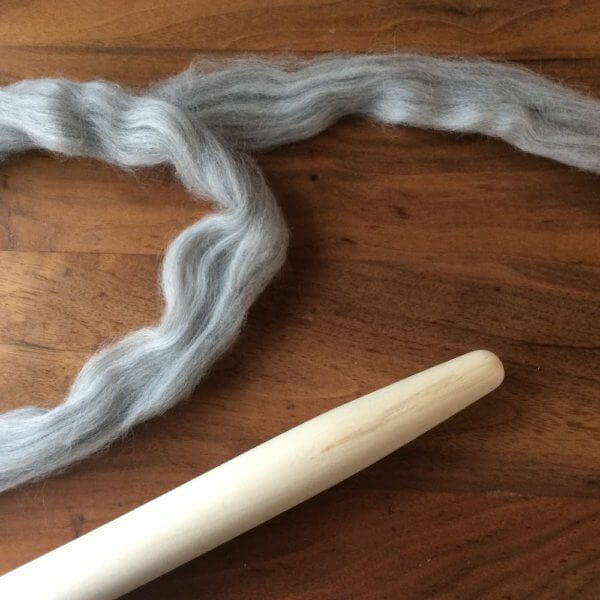 Today I am going to show you how I prepared wool roving to be able to knit with it. At first I just started knitting with the roving as it came. However, soon it became clear that this particular piece of knitting was very thick and stiff. Perhaps suitable for a thick rug, but not for the scarf I envisioned. In other words: my new extreme broomstick needles were too small for this “yarn”! 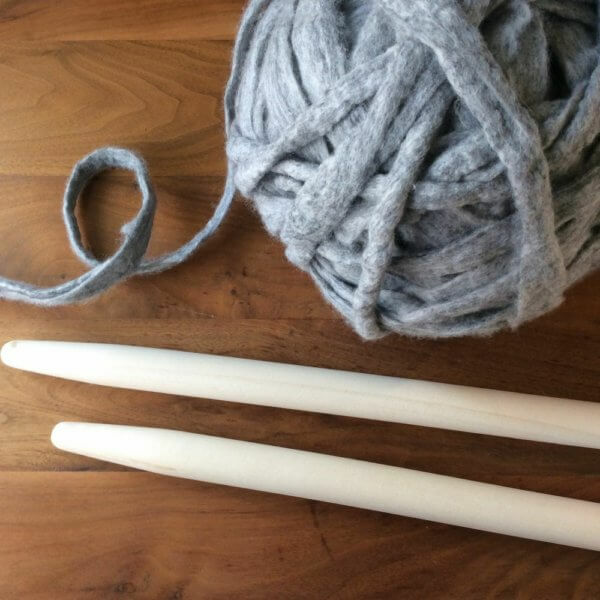 I wasn’t planning on making even bigger knitting needles, so something had to be done with the wool itself to make it suitable for the needles I had available. Also, the thought came to me that untreated wool roving knit into a scarf, would probably shed like a Wookiee in Springtime. Not a good look when wearing dark colored clothes. 1. 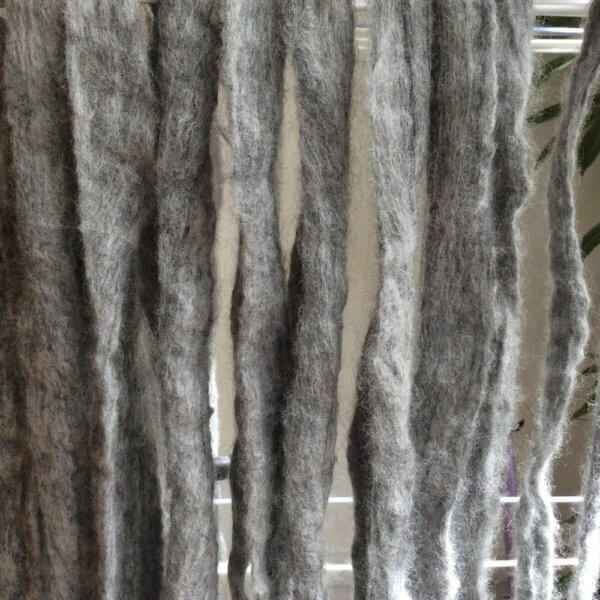 Splitting the roving length-wise. This way I not only halved the thickness, but also doubled the total length available for my scarf! 2. 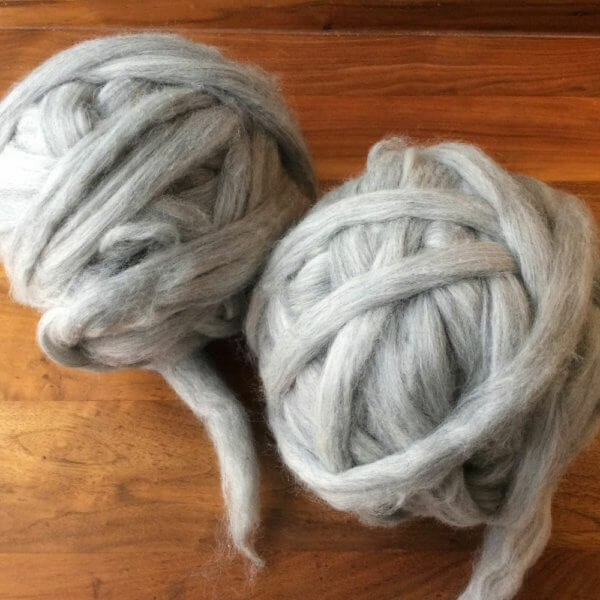 The result: Two large balls of roving. 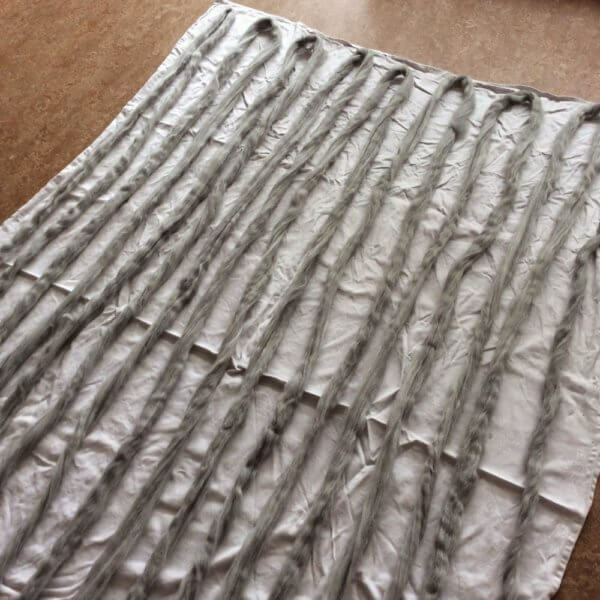 Because the roving is now significantly thinner, it also falls apart more easily when handled. 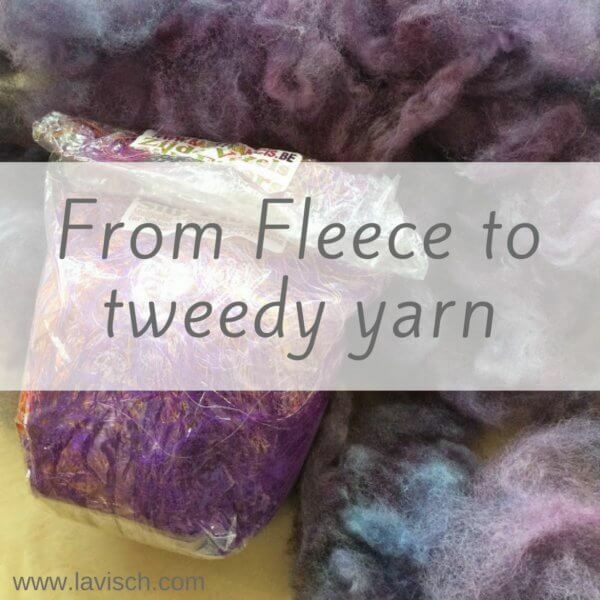 This combined with the shedding problem led me to the idea to full/felt the wool. 4. 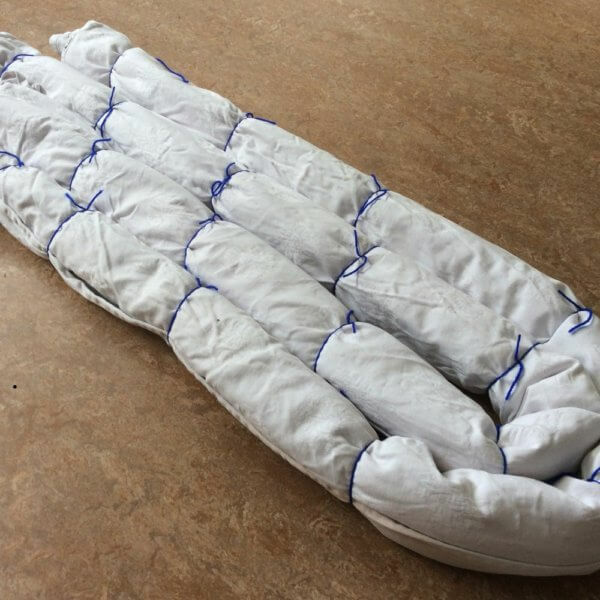 Then I rolled up the sheet, making sure that the roving did not touch itself anywhere. When rolled up like a big sausage I used some waste yarn to make sure it stayed that way. After this the whole package was put in the washing machine on a short 30 minute / 30 degrees Celsius program. 5. Here my roving yarn is out of the washing machine and hanging to dry. It’s nicely felted as you can see! 6. And there we have it: A large ball of felted roving, ready for some extreme knitting. Go to this page to see what I made out of this extreme yarn!